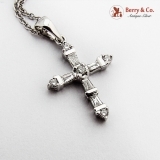 Small Diamond Cross Pendant Chain Necklace 14K (.585) White Gold. 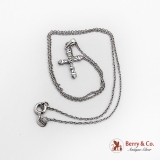 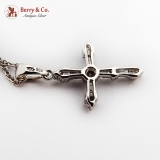 This splendid cross is 13/16" long (including the bail) and 1/2" wide, the length of chain is 15 7/8". 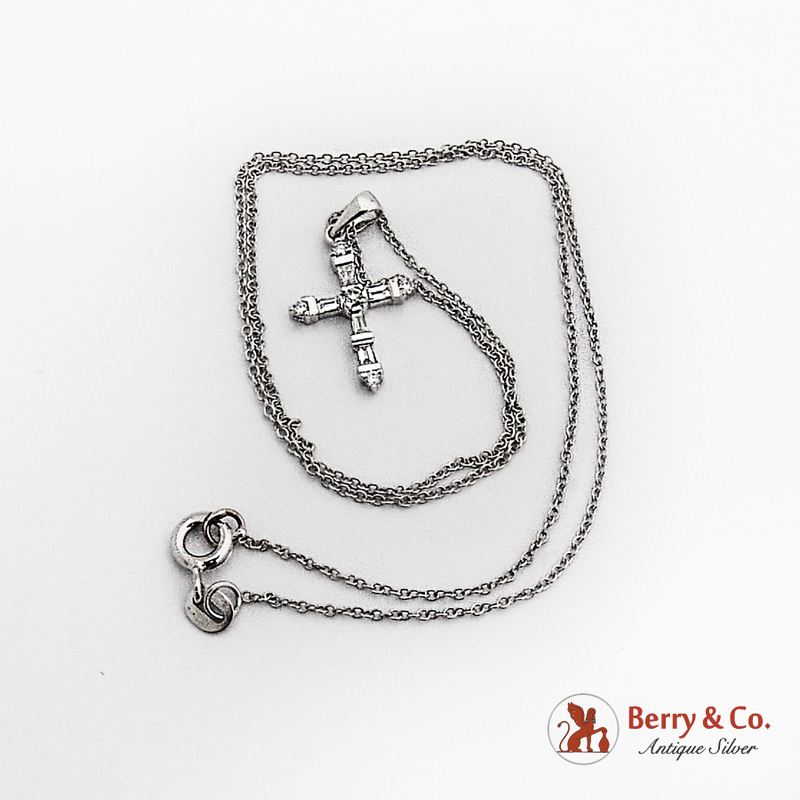 Total weight is 1.8 grams.